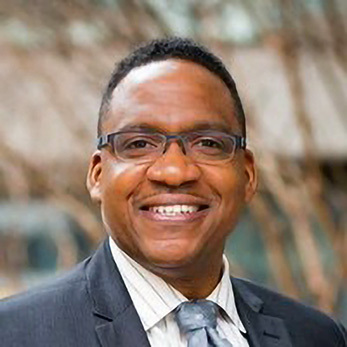 Brent Swinton joined Bowie State University in July 2018 as the vice president of institutional advancement. He leads the Division of Institutional Advancement in building a comprehensive fundraising and alumni relations operation to secure resources to support strategic institutional goals and viability of the university. He also serves as the primary steward of philanthropic relationships and engage with business, civic and community interests to develop collaborations of mutual benefit. Swinton’s career has been dedicated to helping mission-based organizations achieve their strategic goals. He previously led fundraising at the national headquarters of Advancement Project and the Children’s Defense Fund. Earlier, he was assistant vice president for institutional advancement at Notre Dame of Maryland University and senior director of advancement services at Howard University. He is credited with training hundreds of grassroots organizations to sustain themselves financially through the Compassion Capital Fund, the cornerstone grant program of the White House Office of Faith-Based and Community Initiatives. At Notre Dame of Maryland, he provided leadership and oversight of all campaign and alumni relations activities. Before that, he worked for a fundraising software provider, guiding colleges across the nation on campaign planning and implementing donor databases. Swinton graduated from the University of Georgia and received a Master of Public Administration degree from the University of Central Florida. He is recognized as a Certified Fund-Raising Executive (CFRE).